Jayco has helped generation after generation create new family memories. We hope you'll allow us to be a part of the tradition right along with you. Check out the full line of Jayco travel trailers, fifth wheels, motorhomes and toy haulers . Contact us today to learn more about the Jayco EcoAdvantage! Check out the latest Jayco travel trailers, fifth wheels, motorhomes and toy haulers. Amp up the fun. Supercharge any adventure - with the Octane Super Lite toy hauler. Jayco's #1 selling travel trailers for 10 years straight are available with all specs, options, and floor plans. Have you checked them out? Voltage Floor Plans are online! We're excited about this. Check out the all new Dutchmen Voltage toy haulers today. Good times await! The Jayco Hummingbird will take you there. Affordable, easy to tow and fuel efficient. As an experienced and reputable travel trailer, fifth wheel, motorhome, and all around rv dealer we have the resources and product selection from the top RV manufacturers in the country to help you make the most of your buying experience. You can be confident that having the dedicated staff of The RV Express dealership on your side, you will have years of on-the-road satisfaction, wherever you travel. Whether you are a seasoned traveler or this is the start to your first adventure camping, we here at The RV Express welcome you to the rewarding and memorable world of recreational travel. Get the lowest prices on top RV brands in the country. In addition to an inventory of the nation's top RV manufacturers you have also just discovered Jayco’s best-priced and closest rv dealer. With a delivery outpost only 2.5 miles from the Jayco manufacturing facility in Middelbury Indiana, The RV Express can deliver your next recreational vehicle purchase for thousands less than the competition. West Coast delivery also available. If you have any questions, please don’t hesitate to contact us. Click here to email or call us at 1- 888-228-2160. 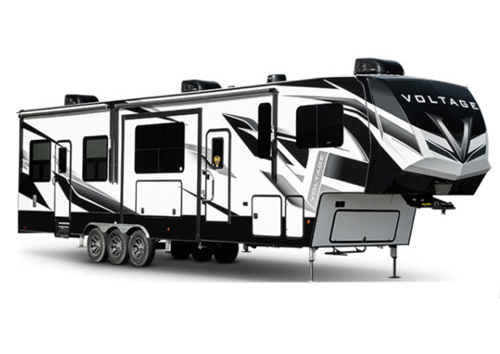 We represent a variety of the high quality products brought to you by today's top rv manufacturers. Find the RV that you're looking for from Jayco, Lance, Dutchmen, Forest River, Highland Ridge, Genesis Supreme, Thor Motor Coach, Entegra Coach and Starcraft. Discover the Jayco difference and see what makes a better RV. One of America's leading manufacturers of recreational vehicles.